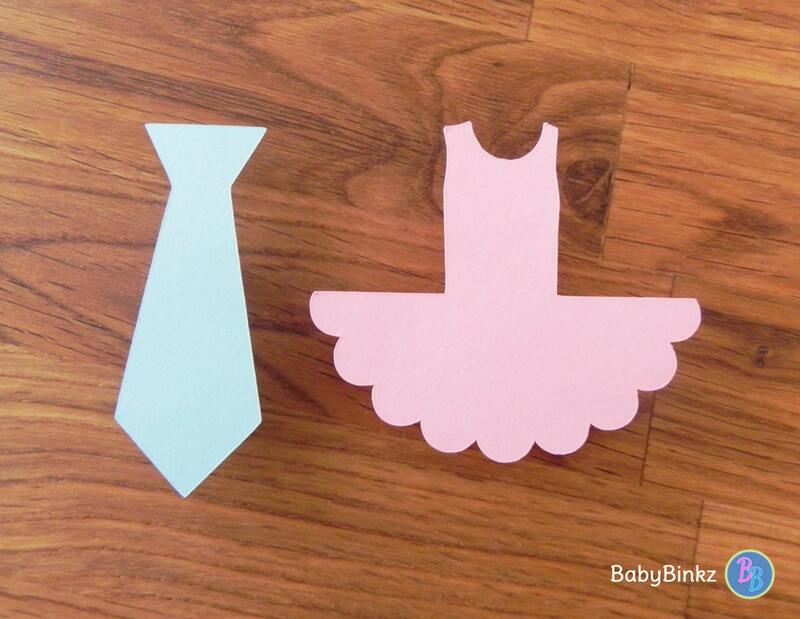 BabyBinkz Gender Reveal Ties or Tutus Door Sign with a Die Cut Neck Tie & Ballet Tutu is the perfect addition to any Gender Reveal party! 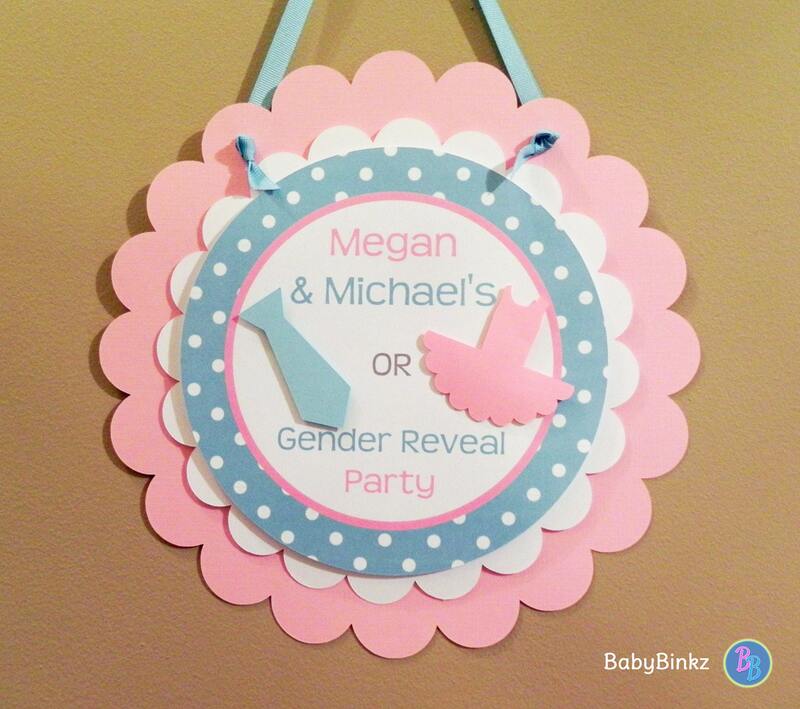 Includes one Door Sign constructed from three layers of heavy weight card stock with a 3D mounted Tie & Tutu. It measures 10" inches in diameter and is pre-strung with coordinating ribbon. 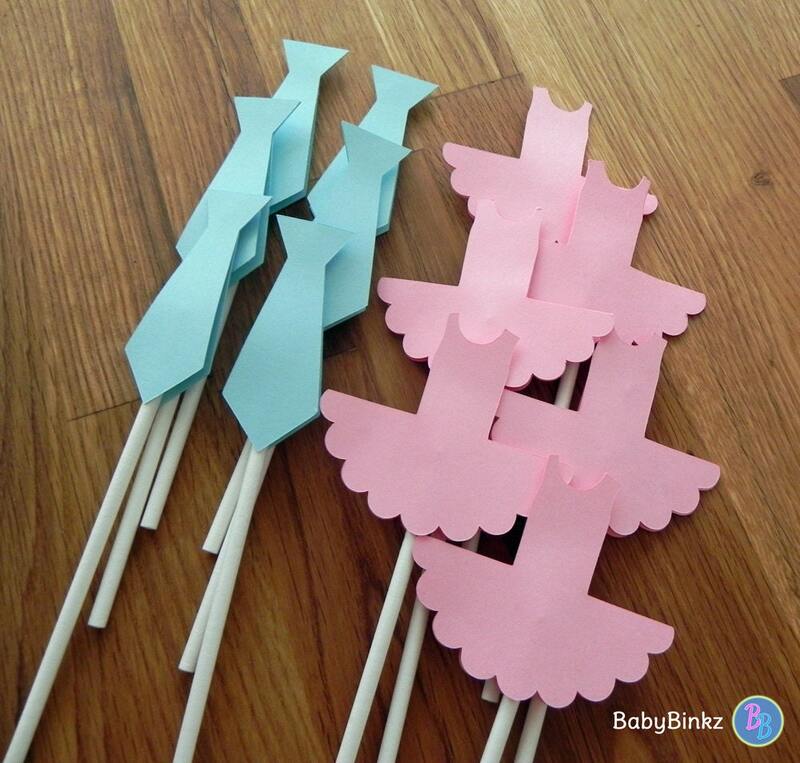 This listing is for the Door Sign Only, but be sure to check out all of our coordinating Ties or Tutus Products!